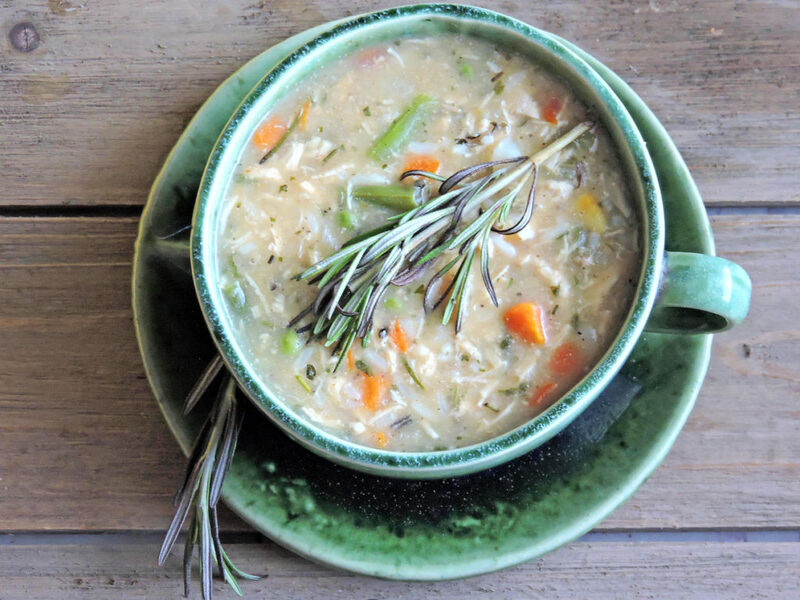 As the temperature drops, I’ve been wanting more warm and cozy meals! 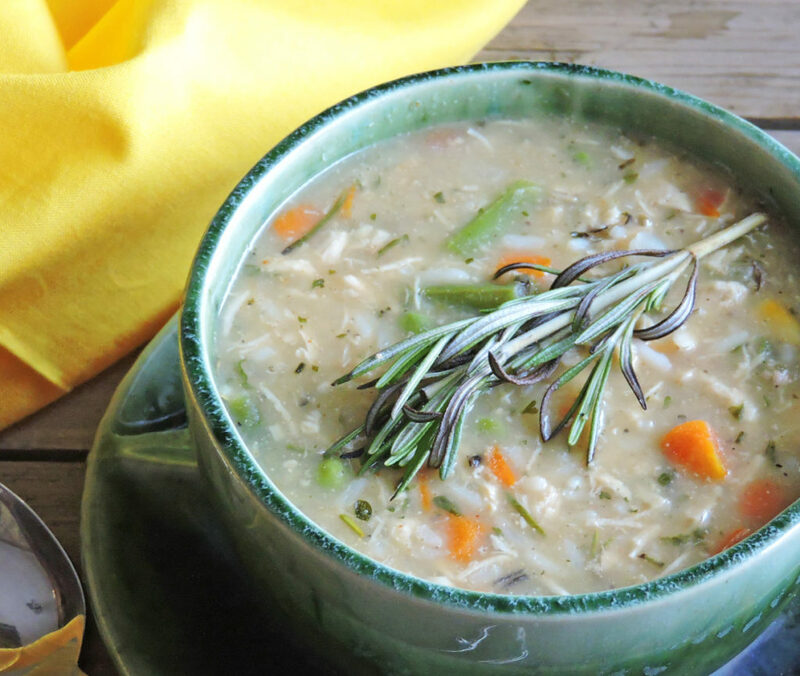 This Low-Fat Creamy Chicken and Wild Rice Soup is my ‘go-to’ on those chilly days! It’s packed with so much flavor and goodness, but low on calories and fat! I consider that a winner in my book! Fall is my absolute favorite season! It’s just something about that crisp, cool weather that makes me want comfort food! My favorite comfort food is a hearty, chunky soup! When I was little, I was never a big soup fan. I was forced to eat it whenever I got the sniffles! Anytime my mom thought I was catching a cold, she would make me some form of chicken soup! Lol! I always thought that this popular comfort dish was so boring, I mean, eating chicken broth was never my idea of a hearty meal! Lol!! This all changed as I got older! Mainly after I tried a delicious soup from my favorite sandwich shop! It was a chicken and wild rice soup. This soup was so tasty, and so far from boring! After purchasing a bowl almost everyday, I realized that it was time for me to make my very own batch at home! I experimented with a few recipes; trying to make it healthier and decrease the calorie content! I finally stumbled upon the PERFECT recipe! Yayy!! I was so excited because my version tasted exactly like the soup from the sandwich shop, but with less calories and a lot more veggies! The real test was the reaction from my family! My husband and kids aren’t big soup eaters. My husband enjoys a big hearty meal, so in his mind, soup does not fit that description! They tried this soup and LOVED it! They gave me the thumbs up! 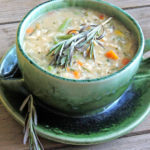 This soup was so fulfilling that my husband was satisfied after one bowl! It has become a favorite in our home and I know that you will enjoy it too! In a large pot over medium heat, combine chicken broth, cream of chicken, frozen veggies, and chicken. Bring to boil, and stir in rice and seasoning packet. Cover and reduce heat. Simmer for approximately 20 minutes, stirring occasionally until rice is tender. Reduce heat to low and stir in almond milk. Cover and cook for approximately 10 minutes. Season with salt/pepper and rosemary. 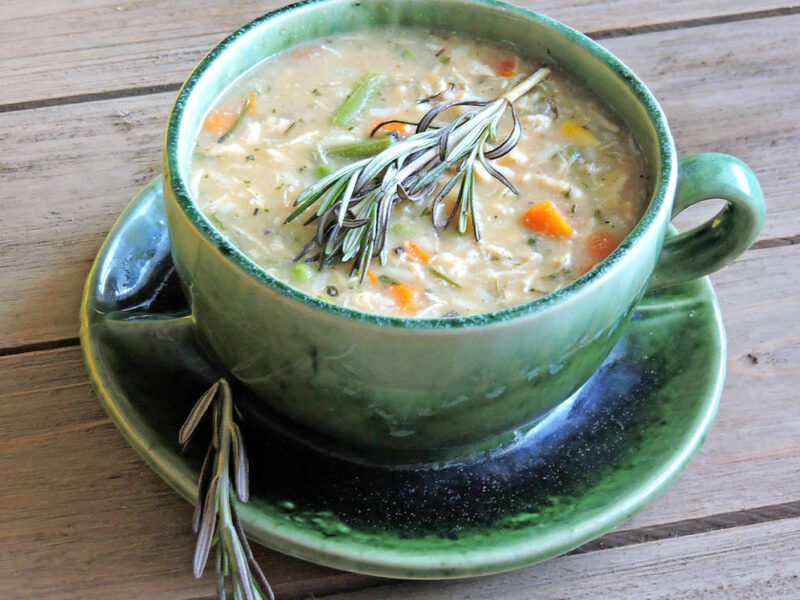 *If you desire a thinner soup, simply add more almond milk until you reach your desired consistency!